When we think of betting strategies, most people’s minds immediately turn to thoughts of card counting, and poker technique. However, you can also approach other casino games strategically, including slot machines. There isn’t a whole lot of information about this out there, but there really are a few things you can do to put the odds in your favour. It always helps to have a general grasp of the basics of something, before you apply a strategy. As such, let’s take a look at the fundamentals of slots, and common mistakes people sometimes make. Slots work on a basis of randomly calculated events, powered by a program called an RNG – a ‘Random Number Generator’. This program randomly decides, each time the game is played, which symbols pop up on the screen. This essentially means that the casino has a considerable mathematical advantage… but that isn’t to say it’s impossible to get ahead of the machine. We can’t stress this enough: make a budget before you head to the casino, and stick to it. This will help you make logical and rational decisions, and will help you decide when enough is enough. A good rule of thumb is to quit once you’ve doubled your initial stake, or when your budget doesn’t allow for any further spending. There are dozens of myths surrounding slot machines. One of the most popular is that of the ‘hot’ machine – one which hasn’t paid out for a long time, and is thus primed for playing and winning big on. On the flipside of this, people also believe in ‘cold’ machines – those which recently paid out and are thus unlikely to do so again. Neither are true in the slightest – the RNG is reset with every game, and as such, slots are totally random. Take note: the following principally applies to online gambling. Knowing the rules, and taking the time to read and understand them, is never a bad idea when it comes to playing slots online. Read up on all you need to know, and by doing so you’ll be able to recognise more clearly whether you’re onto a good thing or not. 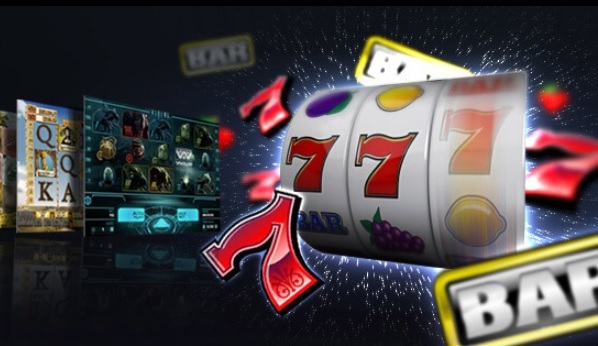 For example, a lot of beginners miss out on great opportunities to win more, such as free spins and other such bonuses, by not knowing when they appear. Make sure you also check any rules regarding how much of a payout you might get, and whether this depends on how much you’ve actually put into the machine. Learning all these things beforehand can help you get your hands on that jackpot! Not all slots work in the same way. You might have come across the ‘progressive jackpot’ – slots which increase their jackpot every time a player doesn’t win. These always sound like attractive options (they play into that ‘hot’ and ‘cold’ myth we discussed before), but in reality the only person getting rich is the slot operator! If you’re playing online slots, stick to the ones with fixed maximum payout. They may have smaller jackpots, but you’re more likely to win with them. It’s a fairly reliable rule of slots that although it’s easy to get sucked into the dream of winning crazily huge jackpots, the games with the biggest prizes have the least frequent payouts. Indeed, if you stick with the small jackpot slots, you’re much more likely to win. Invest your time and money wisely, and stick with the games most likely to bring you some return. Video reel slots look great, and often have plenty of attractive visual features to look at while you play. However, they tend to have a considerably smaller payout rate than normal machines – there’s as much as a 5% difference – so stick with the regular ones, and collect your wins more regularly. Don’t neglect the offline machines! Top slots destinations like Las Vegas are solidly back in fashion, and the slots are a big draw at all the major casinos. As such, it’s a great idea to keep your offline slot strategies sharp, too. There is a strategy known as the ‘One Play’ – simply put, you play one time only with the highest amount possible. Should you win, you play once more. However, if you lose, you move to another slot machine. This strategy isn’t for those who lack a mathematical mind, as it is quite challenging to put into practice. In order to do it, you need to find an ‘equal pay’ slot machine, which is a machine which will give you – for example – the value of 10 coins for 1 coin. Once you’ve found one, you need to find out the standard number of spins for that machine. Once you’ve discovered the amount of spins between each win (do this a minimum of 10 times), you can calculate whether it is worth giving the machine a try or not. The aim of any casino visit is to leave with more money than you arrived with. In order to do this, you need to stick to the facts, and not get carried away with your feelings!